Warm Today Into Friday - Cold Front Cools Us Down For The Weekend. Near Elk In The Southern Sacramento NM Mountains. NWS NDFD Forecast High Temperature Forecasts Today. Normal High Temperatures For Today. Forecast High Temperature Anomalies For Today. After a few days of cooler than normal temperatures and periods of fog and freezing fog the sun rules the day again today. That is once the fog that covers parts of West Texas and some areas of Southeastern New Mexico burns off this morning. Forecast high temperatures today are expected to be mostly in the 65ºF to 70ºF range which will be some 6º to 13º above normal for the date. Its hard to complain when you have highs near 70º in the middle of January unless of course you like the cold. 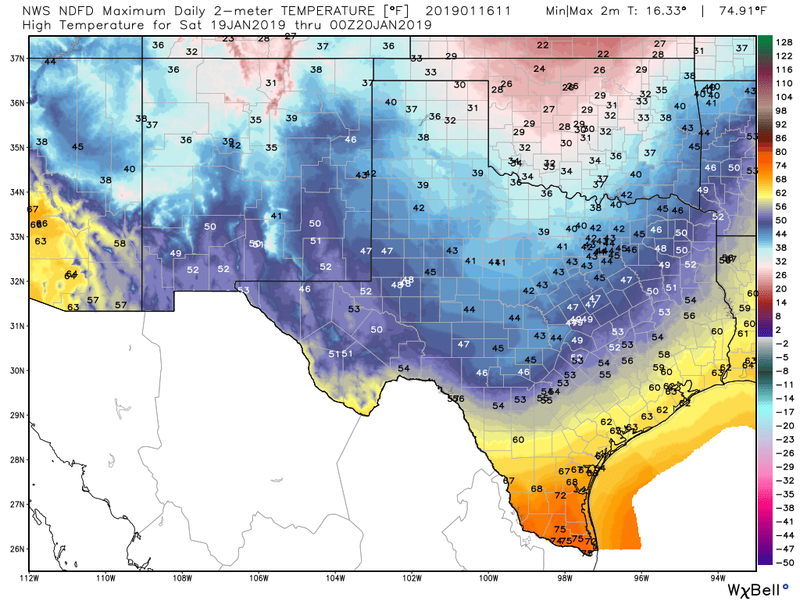 Cold Front Friday Night Cools Us Down For The Weekend. 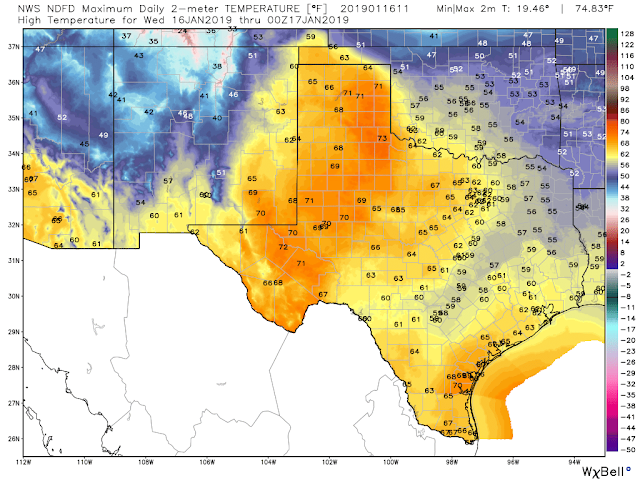 NWS NDFD Forecast High Temperatures Saturday. 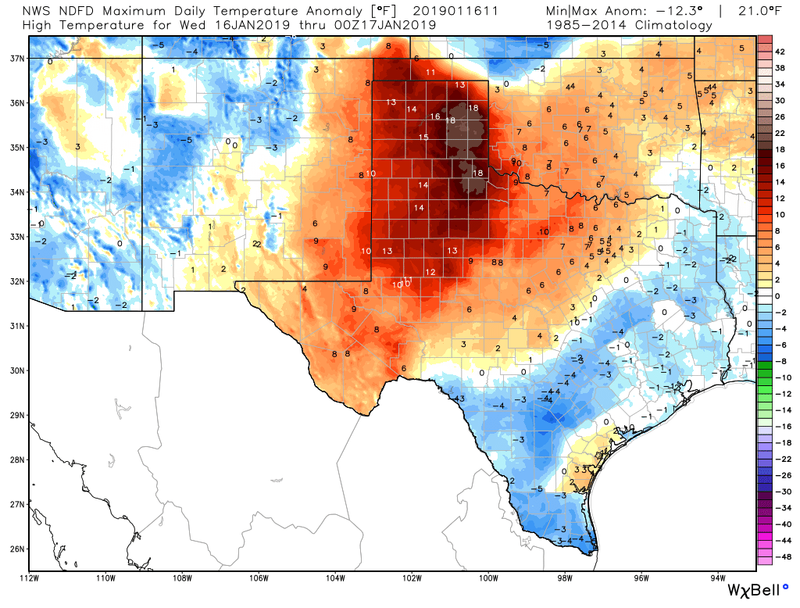 Forecast High Temperature Anomalies Saturday. A cold front will enter the local area Friday night knocking our temps back down to a little below normal for the weekend. 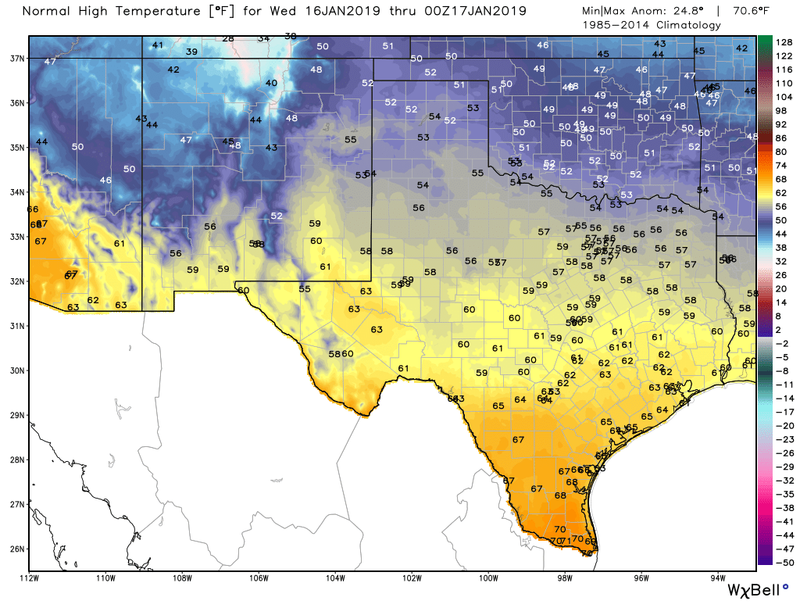 Friday looks to be warm and windy ahead of the front. NWS Blended Model Forecast High Temps. 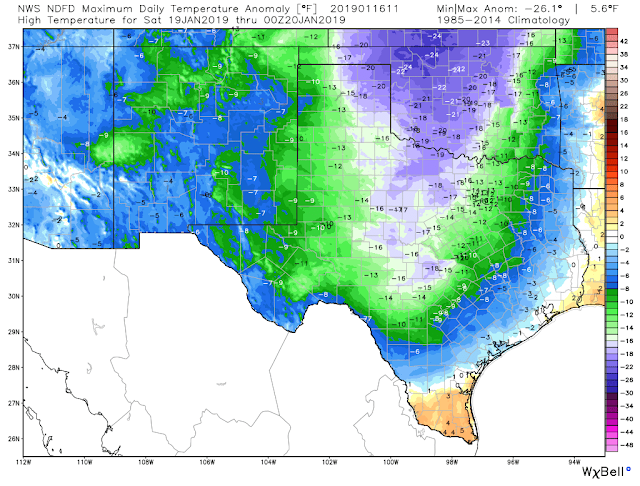 Overall our temperatures will remain fairly tranquil comparatively speaking over the next week. Coldest Air Remains Well To Our North This Weekend. 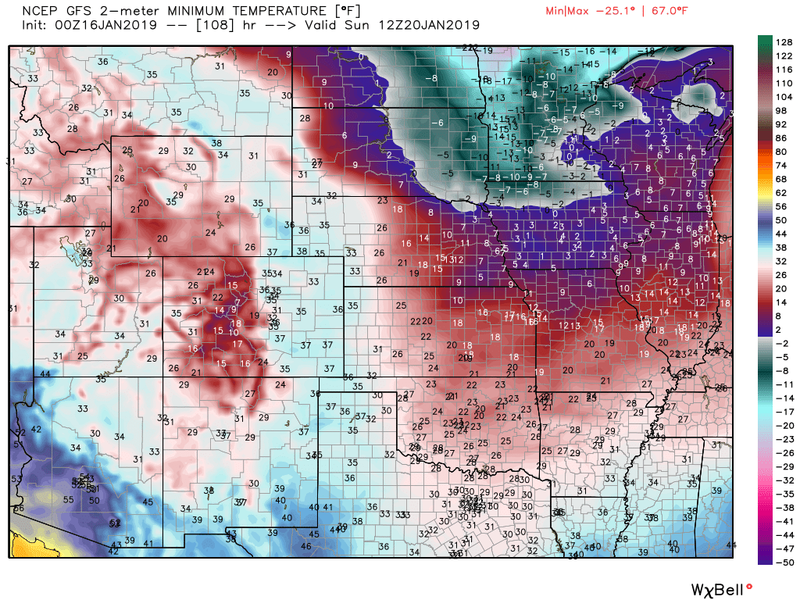 GFS Forecast Low Temperatures Sunday Morning. 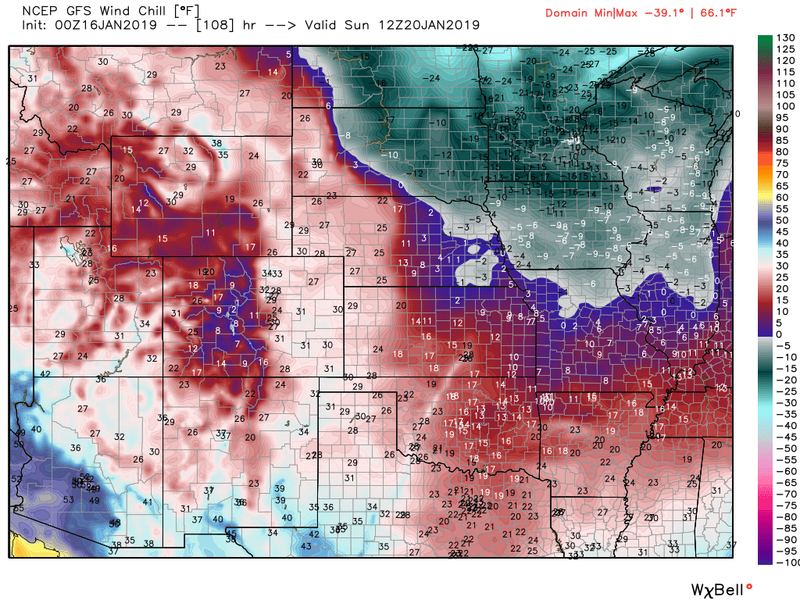 GFS Forecast Wind Chill Temperatures Sunday Morning. 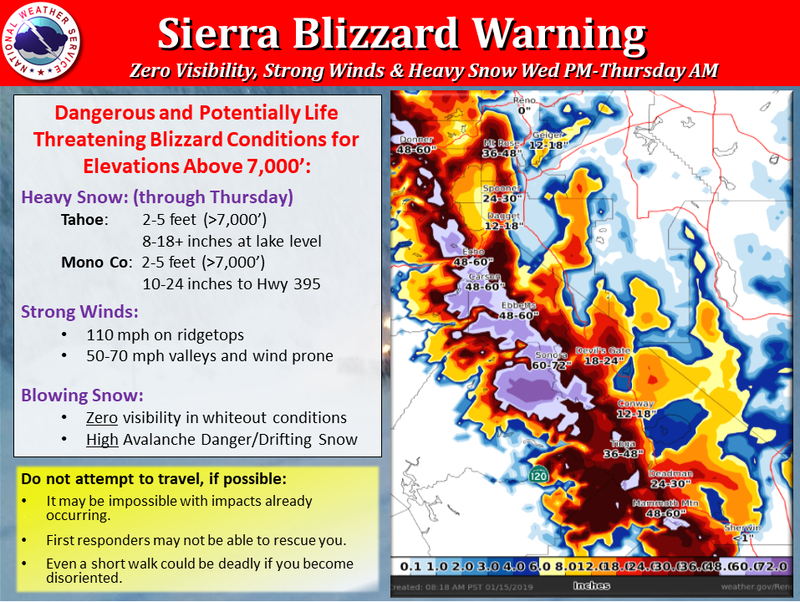 Blizzard To Clobber The Sierra Nevada Mtn's. Higher Mountain Peaks and ridge tops are forecast to get upwards of 5 feet of snow blown about by wind gusts of 110 mph! Wow!